We’ve all asked this at some time - why can't psychics predict the lottery results? Well now it seems they can. 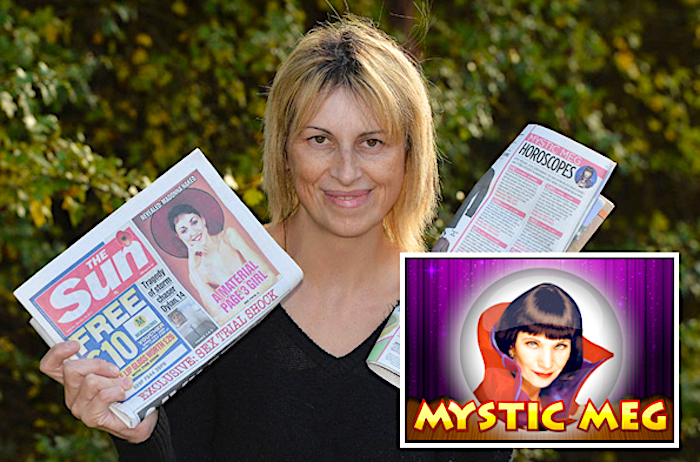 The resident celebrity psychic from Britain's Sun newspaper correctly predicted that a local reader would win a prize. Joanne Russell was broke, and thought she had said farewell to the £10 (about US$16) she used to play lotto. But when she read in the Sun that their Mystic Meg predicted for her sign: “The Moon, which is in your prize chart, adds luck to lottery tickets," she decided to place her tickets in a second chance draw in the newspaper. And to her delight she won £20,000 (about US$26,000). Joanne says: “On Monday, I saw in The Sun that Joanne of Leeds had won £20,000.